The Aroostook Medical Center has announced the following recent births. 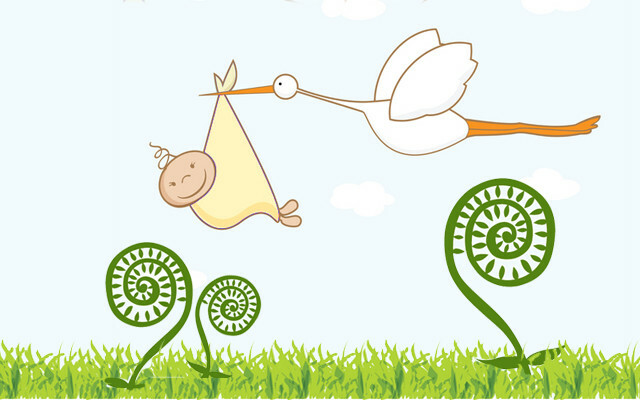 PRESQUE ISLE, Maine — The Aroostook Medical Center has announced the following recent births. BUCK – A boy, Harrison Jeramy Doyen Buck, born on July 16, 2018, to Melissa and Jeramy Buck of Mapleton. Maternal grandparents are Carolyn and Willard C. Doyen III of Mapleton. Paternal grandparents are Michelle and Tyler Buck and Lynn and John Ireland of Mapleton. CLARK – A boy, Benjamin Wendell Clark, born on July 5, 2018, to Megan and Zachary Clark of Mars Hill. Maternal grandmother is Rachel Corson of Wiscasset. Paternal grandparents are Cheryl and Robert Clark of Easton. CORMIER – A girl, Adrienne Leigh Cormier, born on July 12, 2018, to Sarah Perry and Lance Cormier of Van Buren. Paternal grandparents are Diane and Larry Cormier of Van Buren. DAMPF – A boy, Nathan Thomas Dampf, born on July 26, 2018, to Nicole and Kaleb Dampf of Presque Isle. Maternal grandparents are Sharon and John Blewett of Frostproof, Fla. Paternal grandparents are Jane and Karl Dampf of Presque Isle. HAMILTON – A boy, Zane Michael Hamilton, born on July 10, 2018, to Ashley Hughes and Bryan Hamilton of Presque Isle. Paternal grandparents are Jessica Harris of Phoenix, Ariz., and Robert Hamilton of Tulsa, Okla.
HEMPHILL – A girl, Addison Mae Hemphill, born on July 25, 2018, to Alexandra and Garrett Hemphill of Presque Isle. Maternal grandparents are Barbara and Stuart Lambert of Presque Isle. Paternal grandparents are Kimberly and Gregory Hemphill of Presque Isle. JOHNSTON – A girl, Miahh Grace Johnston, born on July 20, 2018, to Hillary and Robb Johnston of Presque Isle. Maternal grandparents are Missy and Troy Maloon of Detroit, Mich. Paternal grandparents are Susie and John Johnston of Presque Isle. LAMOTHE – A boy, Otto Stephen-Cloude Lamothe, born on July 30, 2018, to Brittany and Lance Lamothe of Caribou. Maternal grandparents are Bobbi-Jo and Stephen Caron Jr. of Dunnellon, Fla. Paternal grandparents are Amy and Eddie Espling of Woodland and Chip Lamothe and Teressa Prue of Caribou. LENENTINE – A boy, Parker Stuart Lenentine, born on July 23, 2018, to Latisha and Joshua Lenetine of Monticello. Maternal grandparents are Sherri and Calvin Johnston of Mars Hill. Paternal grandparents are Sherry and Kevin Lenentine of Monticello. MERRIAM – A girl, Amiyah Natalie-Marie Merriam, born on July 14, 2018, to Brittany Drost and Joshua Merriam of Bridgewater. Maternal grandparents are Brenda and Mark Drost of Bridgewater. Paternal grandparents are Shelby Merriam of Caribou and Robert Merriam of Presque Isle. MICHAUD – A boy, Dawson Devin Michaud, born on July 3, 2018, to Mindy and Devin Michaud of Caribou. Maternal grandparents are Kelly Anstiss of Mapleton and Mark Desmond of Easton. Paternal grandparents are Lisa and Michael Michaud of Frenchville. SCHOOLS – A girl, Charlotte Elizabeth Schools, born on July 9, 2018, to Haleigh and Gregory Schools of Littleton. Maternal grandparents are Margo and Geoffrey Dyer of Presque Isle. Paternal grandparents are Roberta Fogg of Turner and Lawrence Schools of Littleton. WALTON – A girl, Isabelle Rae Walton, born on July 25, 2018, to Jessica and Nicholas Walton of Blaine. Maternal grandparents are Peggy and Glenn Robinson of Blaine. Paternal grandparents are Mavis and Brian Walton of Westfield.